60401BK Arko - 1904 Buick. 1:32 scale die-cast collectible model car. This Buick is a 4"Lx 2"Wx 1.75"H die-cast metal car. Sits on a display plaque. 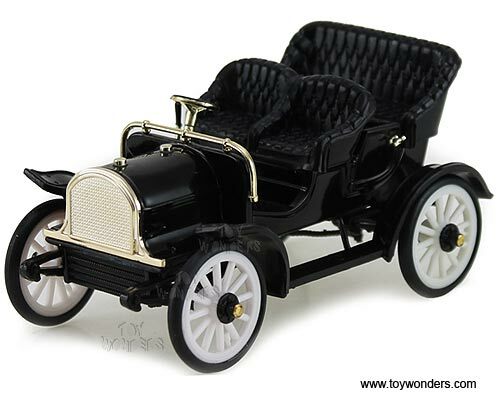 This 1904 Buick is manufactured by Arko. 60401 is in BLACK color. Individually packed in a window box. 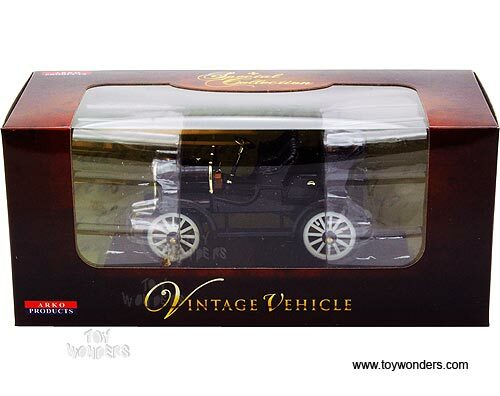 Box size: 8"Lx 3.5"Wx 3.5"H.
To see more Buick collector die-cast models (click here).